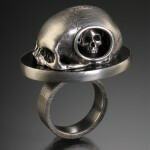 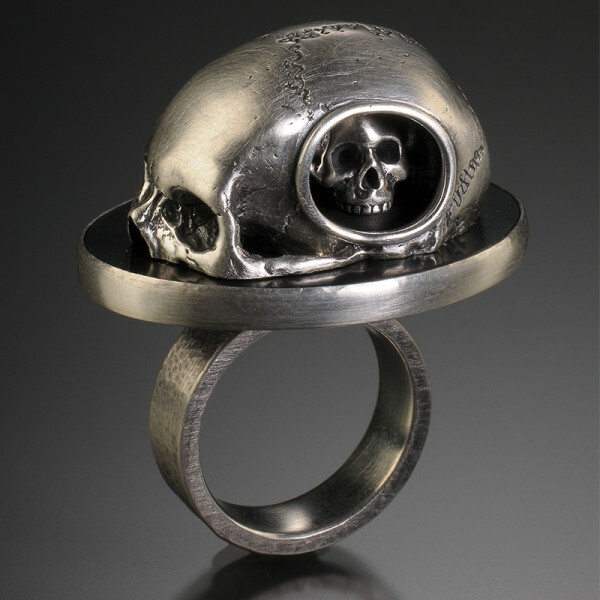 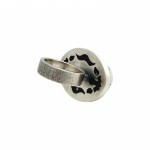 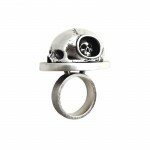 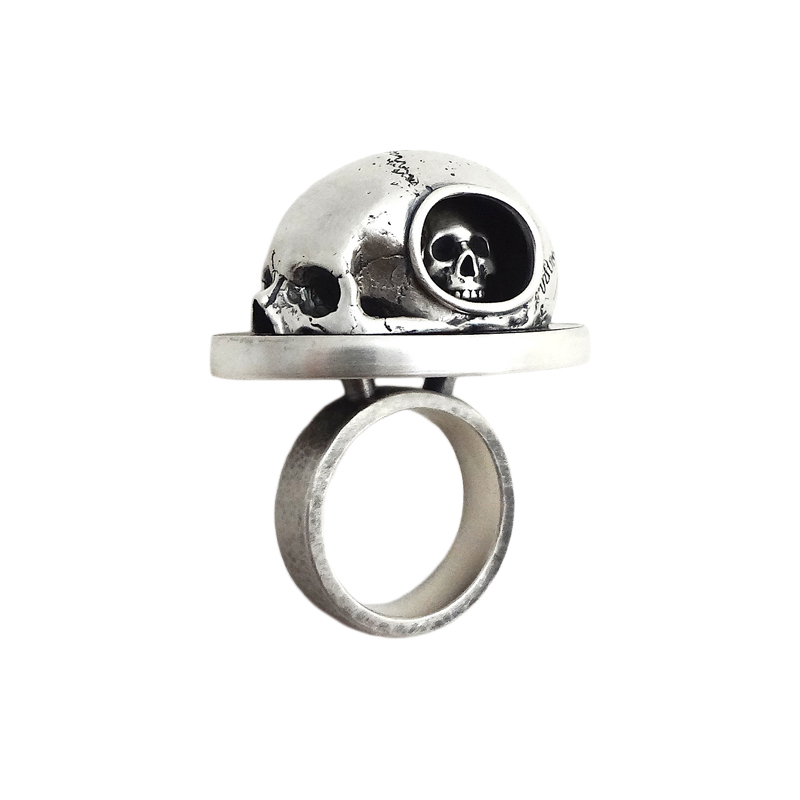 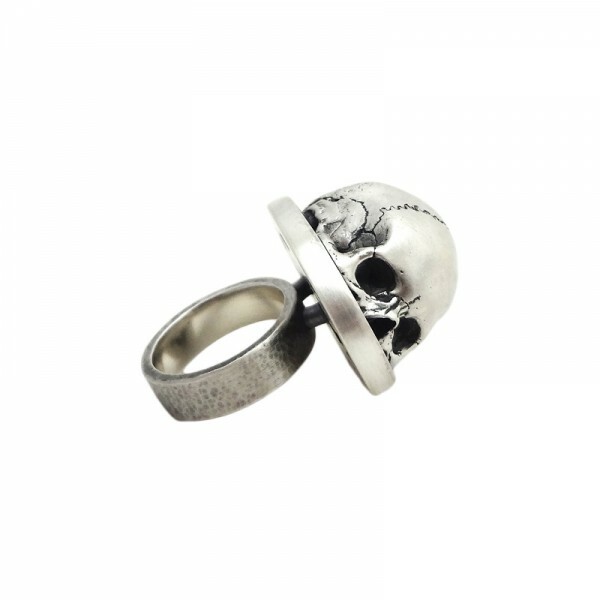 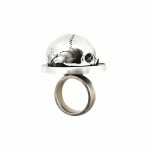 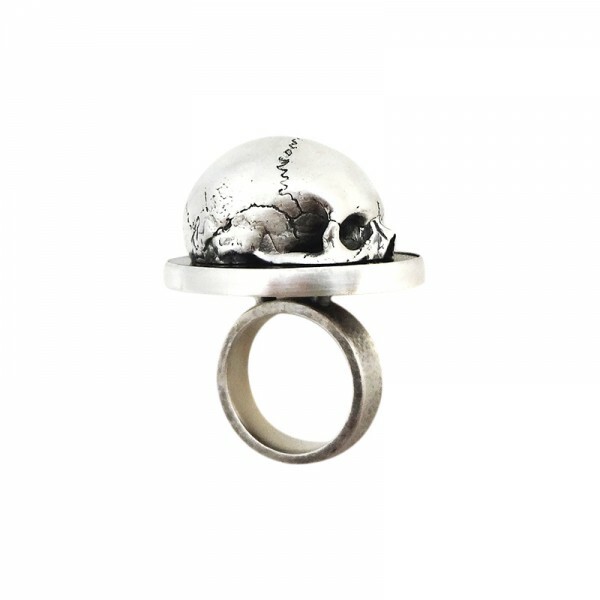 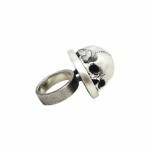 Bring a touch of macabre beauty to your wardrobe with this intricately hand carved and cast ring by Yuri Tozuka. Nest I is one in a three-part series of sterling silver, jet stone, and fine silver rings that treat human skeletal anatomy with a playful twist. Atop this ring, a small anatomical skull sits perfectly nested within a larger anatomical skull, partially sunk in a deep black pool of jet.